Location: 3F, International Trade City D4. 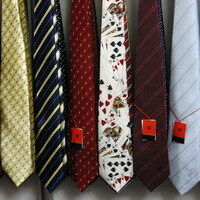 If you want to buy wholesale ties from China, AND you want lots of designs and small quantity, do not miss the YiWu International Trade City. Most of the ties here are silk and polyester. 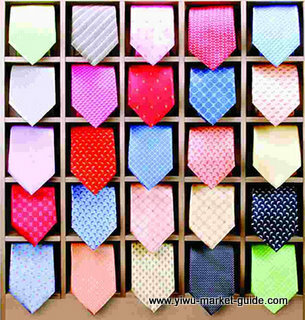 Silk is the most popular one now, silk ties are high-end with good perception, comfortable touch and bright color .Polyester ones also have bright color, but they do not have the good drape and texture like silk ones. With a rough look, all ties look just the same, but exactly not. They have different lengths, different widths, and different patterns. 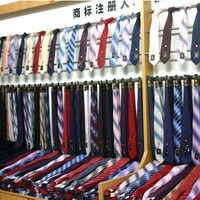 Most of the ties length here varies from 132cm to 142cm, and the width between 2cm to 15cm. Patterns here are just TOO many. Some are with stripes and pictures; some are just flat with no pictures. And this market has almost EVERY colors! 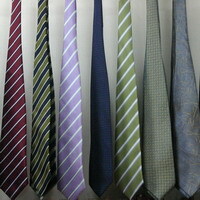 The most classic ties are with a width of about 9.5cm to 10cm, and a pattern of oblique stripe (about 1.5cm wide). Maybe what you care most is the price. Really cheap! Some silk ones are just a little more than 20 RMB and some polyester ones are only 6 RMB. “how many pieces do I have to buy ?” If the shops have stock, you can buy a small quantity, from a dozen to a few cartons. If NOT , you have to place an order. Silk or good polyester ones you can order 60 pieces one design, and some lower quality polyester ones require 100 pieces per design. When place an order you can choose have the supplier’s brand or have your own brand. You just need to tell them your requirements. 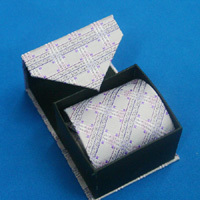 For example, you want a very good work, you want a special printing, or you want other fabric with a certain picture. Most of time, the price stay unchanged, or can be a little higher for these changes. Careful thinking delivers better results. Here is what I’m doing:When browsing the market, I will take a camera with me and take photos when necessary. I will also write down the information i need from the supplier, then I will make a list with pictures and other information at the earliest time for my customer to confirm. Lastly, you need a pulling suitcase or a backpack for samples.And also, please remember that the whole market is Air-coned, it’s not as hot as outside in summer and not as cold as outside in winter.